CATCH THE BUZZ – Scientists to examine spread of disease in bees with NIH grant. So, how DO pathogens get from point A, to point B? 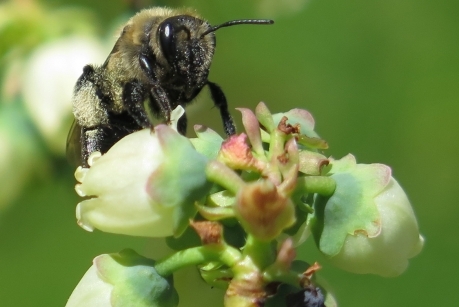 A digger bee forages on blueberry flowers. Previous research has shown that bees pass parasites and pathogens to each other when they forage on wildflowers, but the details of exactly how disease is spread through diverse communities of bees is unclear. “Even though we know pathogens are a major source of bee declines, we know virtually nothing about where and how those pathogens are transmitted in the environment. 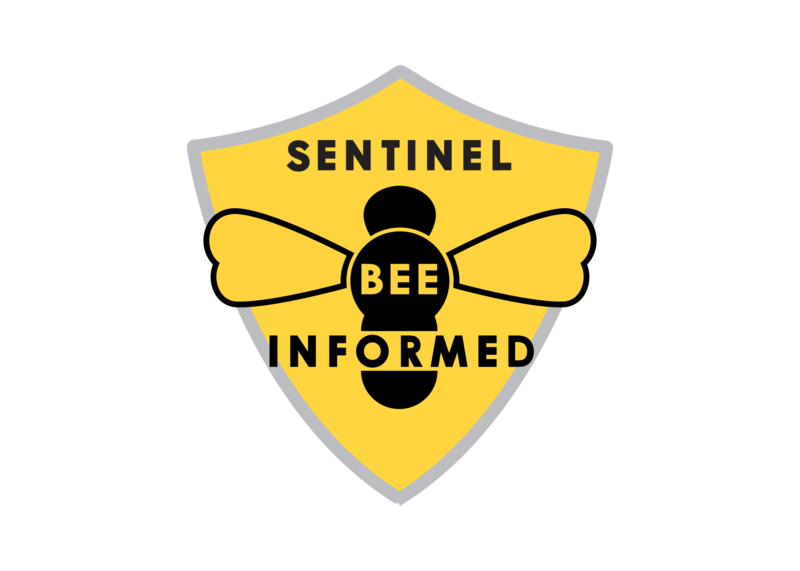 That is the key for this whole proposal, to try and make some inroads in understanding pathogen transmission among bees,” said Scott McArt, a research scientist in Cornell’s Department of Entomology and the principal investigator (PI) of the project. Previous research has shown that bees pass parasites and pathogens to each other when they forage on wildflowers, but the details of exactly how disease is spread through diverse communities of bees is unclear. To understand such a complex ecological system of disease transmission, which includes 416 New York bee species and hundreds of species of flowers, “It becomes computationally intractable to really model those plant pathogen networks; you can take all the data you want but trying to make sense of it is virtually impossible,” McArt said. As a result, the researchers will try to develop a technique that looks at broad traits shared among species, a growing trend among community ecologists that has never been used with pollinators and plants. This method will simplify how data are processed; traditional taxonomic approaches consider the relative importance of each individual bee and flower within an ecosystem to tease out patterns of interactions and transmission, McArt said. The researchers will start by collecting bee and flower data and samples, and will conduct molecular and genetic assessments of what pathogens bees and flowers share. With these data, theoretical ecologist and co-PI Steve Ellner, the Horace White Professor of Ecology and Evolutionary Biology, and computational modeler and co-PI Chris Myers, adjunct professor in the Department of Physics, will develop computer models to map and predict the associations between bee and wildflower traits. The team will then manipulate communities of bees and plants in field enclosures to test the computer model predictions of disease spread. 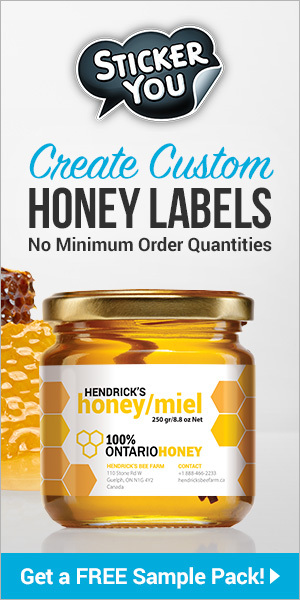 With a trait-based approach, the researchers hope to define traits that may include bee size, whether they are solitary or social bees or life history traits such as the time of year when they are active. In this way, a few important traits may define a large percentage of disease transmission, McArt said. The findings will have practical use for a new New York State Pollinator Protection Plan that advocates planting wildflower strips as buffer zones to augment habitats and promote pollinator health around state parks, farms, buildings and cities. The results will help inform land managers, farmers, landscapers and others which wildflower traits promote bee health and which may spread disease. Based on insights gained from the research, the scientists will attend gardener and pollination outreach events to discuss floral disease transmission and possible solutions. Also, the project will fund training of four postdoctoral researchers, three graduate students, a technician and 24 undergraduates. Other co-PIs are Lin Adler, professor of biology at the University of Massachusetts, Amherst; Rebecca Irwin, associate professor of applied ecology at North Carolina State University; and Quinn McFrederick, assistant professor of entomology at University of California, Riverside. 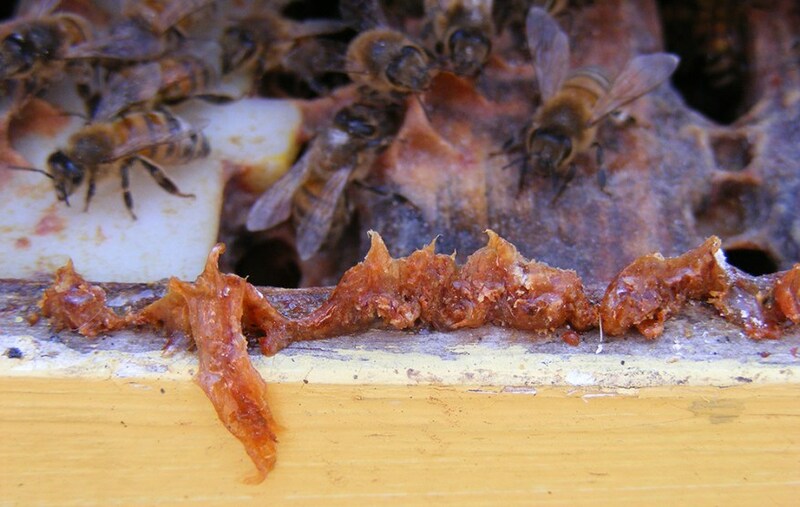 Next articleCATCH THE BUZZ – Neonicotinoids can jeopardize the normal development of honey bee larvae. 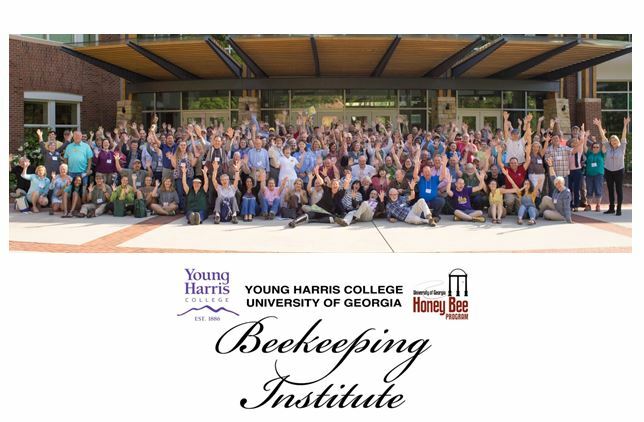 CATCH THE BUZZ – Researchers Aim To Develop Best Practices For Organic Beekeeping Industry.